DAVID LE/Staff photo. 2/25/15. 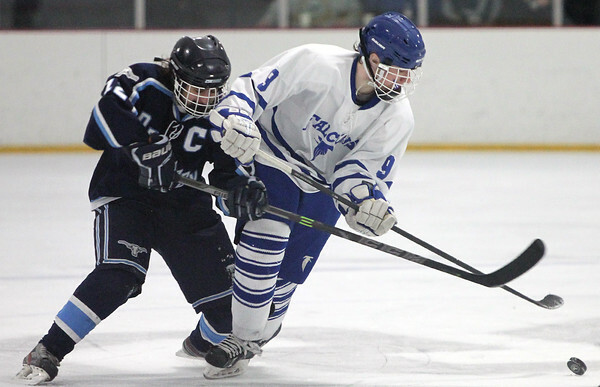 Danvers freshman forward Conor Purtell (9) tries to control the puck while being checked by Peabody senior captain Jason Marshall (12).